Today we got our first issue of the Broccoli magazine! Hemp Hemp Hooray! For those of you, who never heard about the magazine, well... in short: if you love Cannabis you need to get yours! Broccoli was developed by a team of women that research and shape "the stoner culture by looking at cannabis through a global art, culture and fashion lens." We discovered Brocolli magazine a few months ago and were so excited to receive their issue to display here at the farm whenever you come to visit us. When some people think about Cannabis they tend to associate with a dreadlocked guy wearing a Bob Marley's T-shirt and smoking a joint. 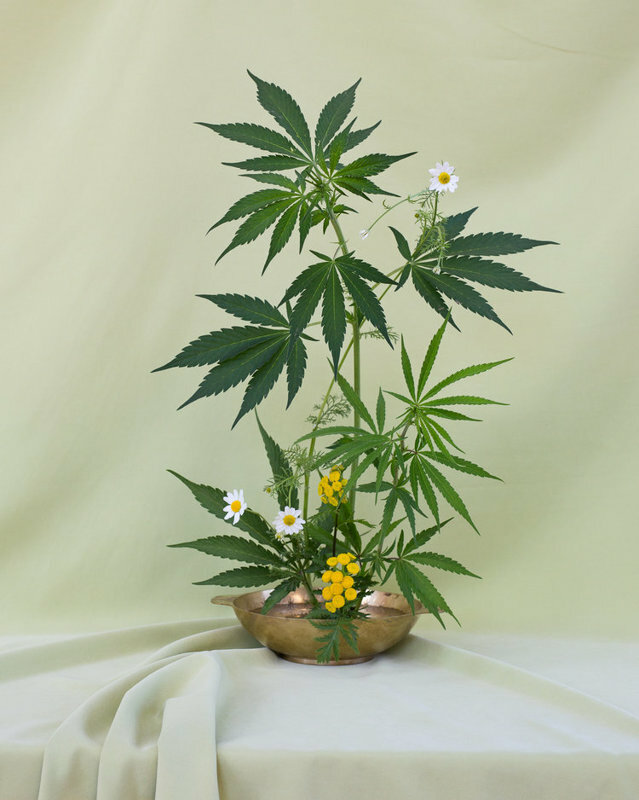 However, Broccoli shows us a different side, on the cover of the first issue we can see a delicate flower arrangement filled with Cannabis plants that amazed us for it's out of the box design and unparallel elegance. Broccoli does make a stand for the legalization of Cannabis and against the stigmatization of its users. 100% made by women! The magazine hears the female voices, not only about Cannabis but about various topics such as art, creativity, music, design and more. Cannabis is an element they use as a mean of interact with all other aspects of women's lives. CBD, horoscopes, Ikebana, weed ice creams, Mexican candle making and so much more! The content of Broccoli is so diverse and each of its 80 pages will make you go on a journey of (re) discovering the universe of Cannabis culture. The design is just WOW! We especially love page 69! Broccoli is offered free of charge in the United States, but outside you will have to pay for the freight. The founder and creative director of Broccoli magazine, Anja Charbonneau was very kind to send us the first issue (even though it is sold out) and we even got their awesome weed postcards set as a gift! If you are looking for a magazine that is unique in every sense, you should get Broccoli and support this exceptional project! Whenever you visit us, you can also browse the magazine! Great information about Broccoli magazine! It's nice to know it's free in the US. How much is it for other countries?